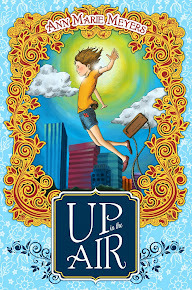 Ann Marie Meyers: 'Up In The Air' ARC Giveaway - 2nd Run!!! So just for fun, I've offering another Goodreads ARC Giveaway for 'Up In The Air'. The Giveaway ends on June 9th so I hope you will play again. Giveaway ends June 09, 2013.